Police shot dead a man who killed a passerby and injured four others in a stabbing spree in Paris on Saturday. Here are the main facts. 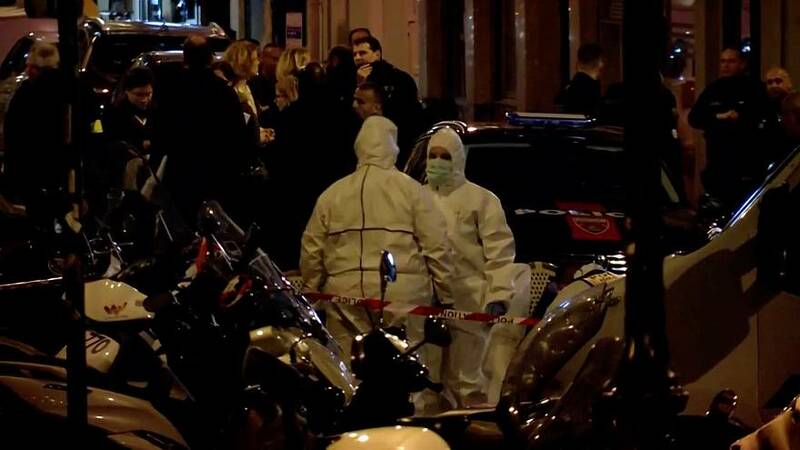 The attack took place shortly before 9pm local time in the old Opera district, in central Paris. Witnesses reported the assailant shouted “Allahu akbar” — “God is Greatest” — before starting his stabbing spree. They also described hearing screams and seeing blood as people were fleeing the scene. One Australian women described how she and friends rushed to hide inside a café and hid under a table as the attack unfolded outside. When police arrived, the attacker rushed at them shouting "I will kill you." According to Prime Minister Edouard Philippe, police had “neutralised” the attacker nine minutes after they were first alerted. Sources say police first used a taser on the assailant before shooting him dead.t. A judicial source named the attacker as Khamzat A., without giving his full surname, Reuters reports. He was born in Chechnya, Russia, in 1997, but gained French nationality along with his mother in 2010. He had no criminal record but was on the “fiche S” registry used by French intelligence to flag individuals who are a threat to national security. His parents have been detained together with a childhood friend from Strasbourg. ISIS claimed responsibility for the attack but without providing evidence and a government spokesman said their claim had not been verified. One person was killed in the attack. Interior Minister Gerard Collomb said it was a 29-year-old man but did not name him. “I would first like to salute his memory. Once again the youth of France has been hit,” Colomb said. Four people were also injured with two of them left in a serious condition. One of the injured was from Luxembourg and another from China. Public prosecutor Francois Molins said the anti-terror unit had been tasked with investigating the attack. “At this stage, and on the basis of testimonies describing the attacker shouting ‘Allahu akbar’ while attacking passers-by with a knife, as well as the modus operandi, the counter-terror section of the Paris prosecutor’s office is investigating,” Molins told reporters at a press conference early on Sunday. Collomb also convened an emergency meeting with security and anti-terror officials on Sunday morning to discuss Islamist links to the attack.